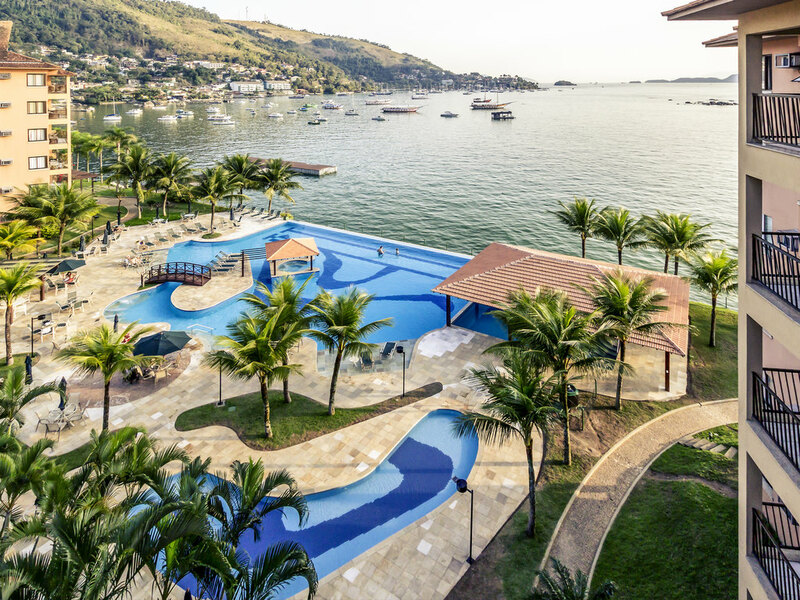 The Mercure Angra dos Reis hotel welcomes you with stunning views of Ilha Grande Bay. Relax in comfortable apartments, most of which boast ocean views. While the hotel offers a laundry service and free WIFI and parking, you can also enjoy our infinity pool, heated pool, fitness center and dry and wet saunas. Indulge yourself with Brazilian dishes served by the Momentos restaurant and take advantage of our 24-hour room service. This hotel is in the process of transitioning to Mercure brand. Take time to relax with your family in our spacious accommodation, with rooms for up to 4 people. Our apartments offer all the comfort you need for a truly enjoyable stay. Restaurant serving Brazilian and international dishes. You can enjoy drinks at the pool bar where smoothies are prepared with local fruit.